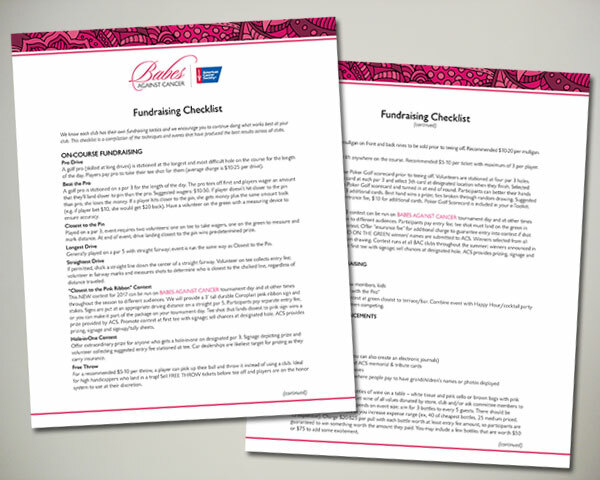 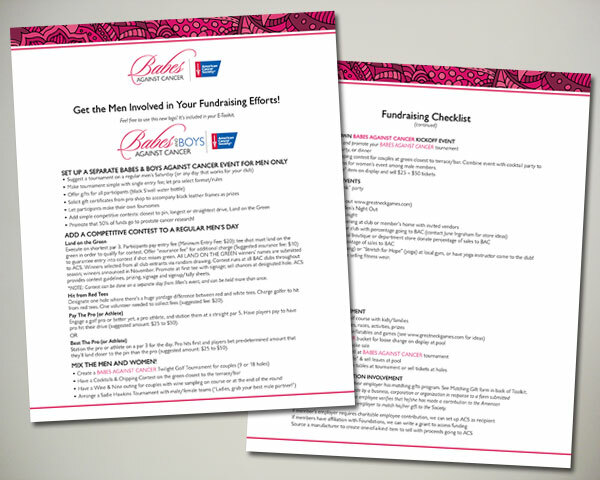 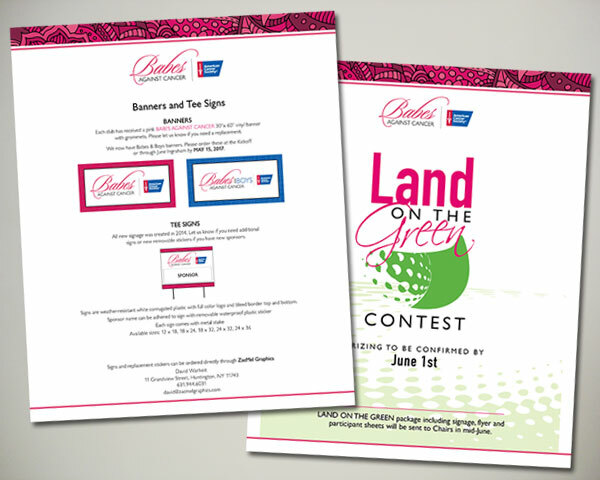 Custom Sponsorship Toolkit for fundraising events held at country clubs on Long Island, NY. 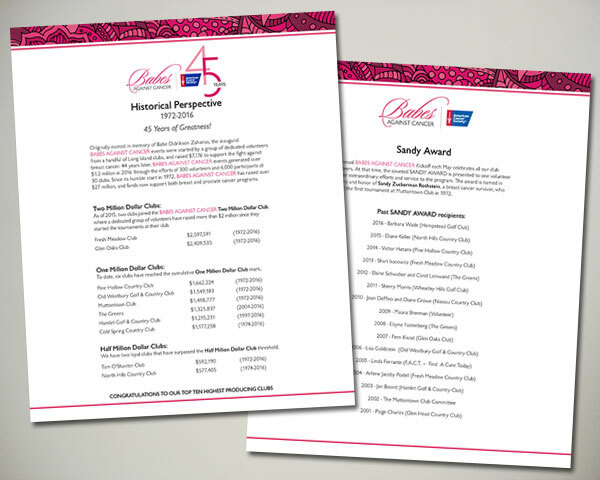 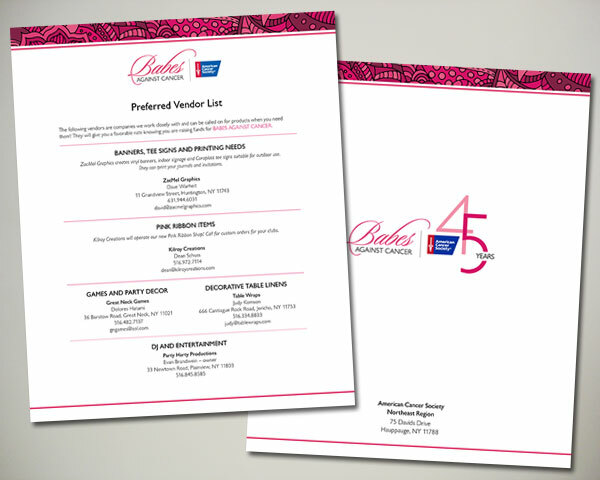 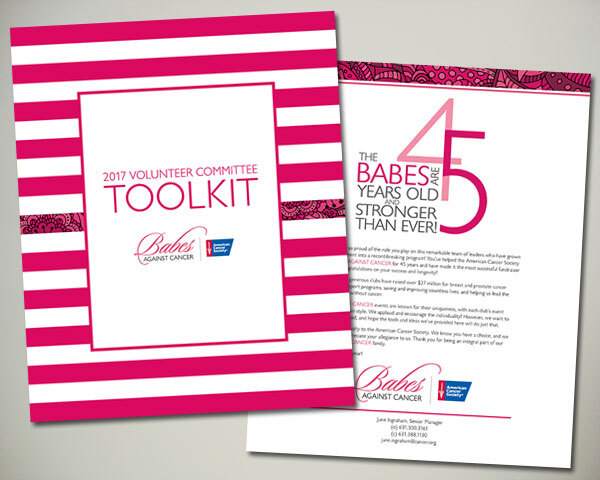 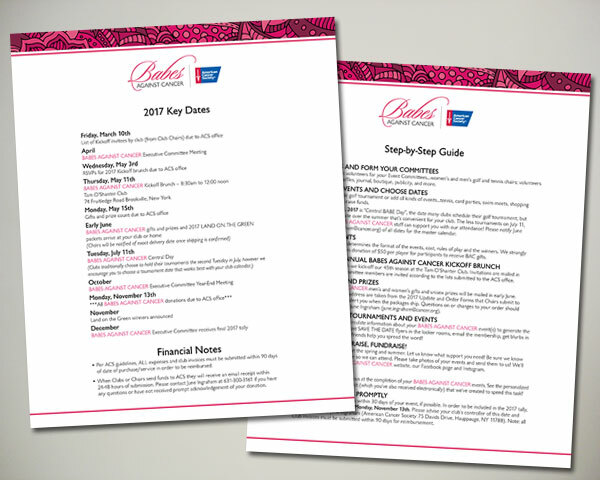 Babes Against Cancer is celebrating 45 years. 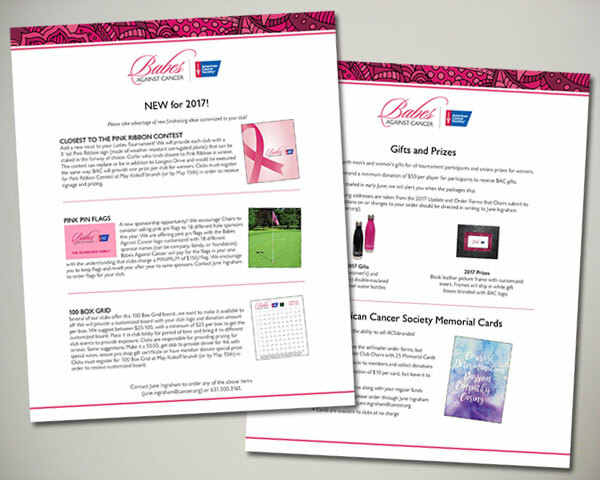 Custom BAC logo and type block to be used throughout the year.